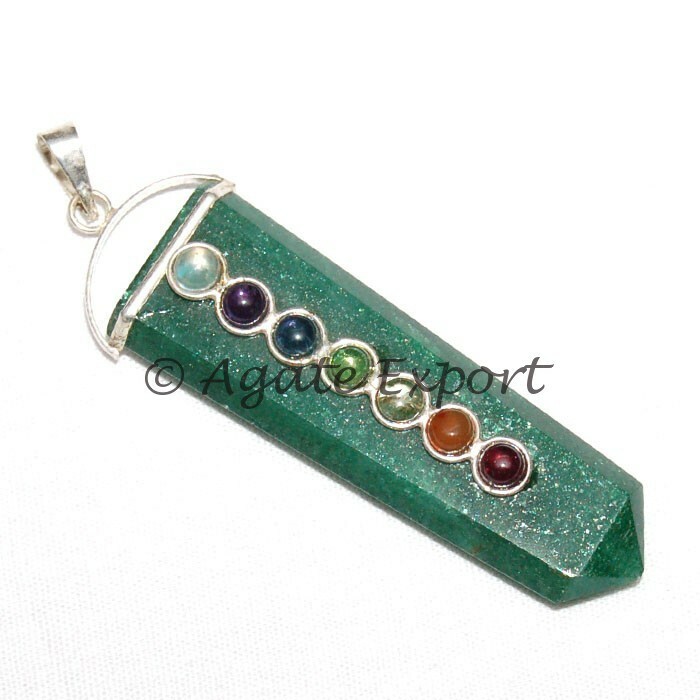 Agate Export offers you Amethyst Silver Chakra Pendant. It has an amethyst stone crafted into a silver pendant with seven stones placed in front of the pendant. Amethyst silver chakra pendant will stimulate intuition, clear your mind, provide strength and help in meditation. Weight is 4-10gm.